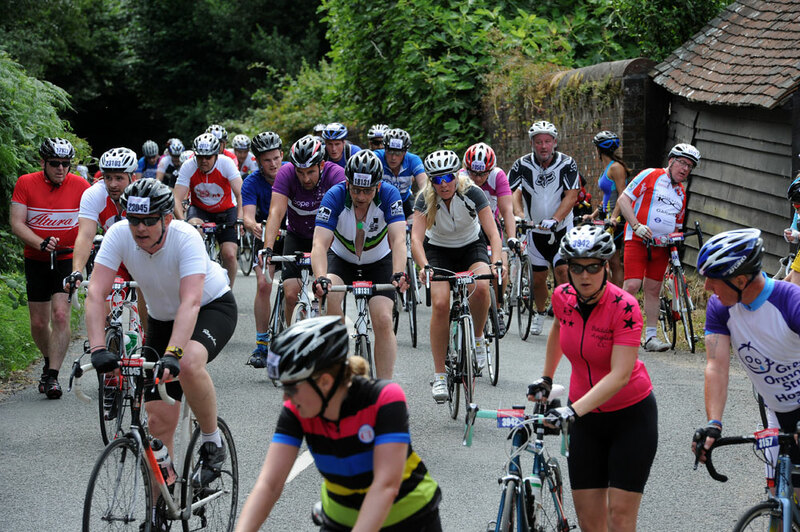 Watching the Prudential RideLondon-Surrey 100 sportive and Classic road race on Sunday, July 30, is completely free for spectators, and there are many locations along the route that will give you a good vantage point to view the action. The sportive starts at 05:45 at Queen Elizabeth Olympic Park before the Classic road race kicks off in the afternoon. The women’s race takes place the evening before at 17:00 on a circuit in Central London. The pro race departs at 13:30 from Horse Guards Parade, St James Park, London, then follows a neutralised (non-racing) section to Earls Court where the racing proper will commence. The 200km (125 mile) event is due to finish in The Mall around 18:00. If you can’t watch the events in person, then the BBC will be showing live television coverage over the weekend with a big screen being erected in Green Park for the race. 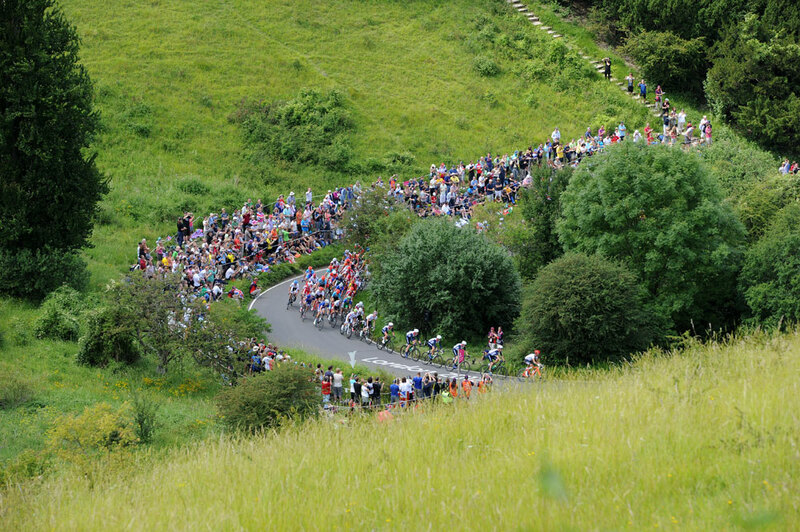 Below are Cycling Weekly‘s top seven suggested viewing spots for spectators. The road race passes around a loop of Ranmore Common three times, making it one of the best spots to view the action several times over. The top of Ranmore near St Barnabas Church has a wide open grassy space which should provide plenty of space for spectators – it’s also a favourite for photographers. The sportive does not visit Ranmore, but instead travels directly through Westcott and Dorking – see route maps below. The Surrey commuter town of Dorking provides the focal point for four intermediate sprints as the race loops around Ranmore Common and out to Westcott. Plenty of parking and rail access may mean that the town will get busy, particularly with closed roads, so finding a spot early on is advisable. Surrey’s highest point will be tackled by riders just once in the road race. Confusingly, the road race goes up Leith Hill one way, and the sportive another – check the route maps below. On a clear day, the gothic tower at the top of this National Trust site offers a panoramic view of London. It will not be the focal point it was during the Olympic events, yet Surrey’s cycling hotspot has plenty to offer spectators, from its grassy, banked natural grandstands to the Alpe d’Huez-style hairpin bends. Stand in the right spot and you’ll be able to see the riders at various points in the hills. One of the most atmospheric spots during the Olympic events, the peloton will pass through Kingston en route to the Surrey Hills and then again as they head towards The Mall. The Kingston Bike Festival will offer plenty of amusement aside from watching the sportive/road race, including big screens showing live coverage of the race. The affluent, Thames-side suburb is where Alexandre Vinokourov and Rigoberto Uran successfully broke away from the lead group during the London 2012 Olympic road race. Easily accessible by public transport and offers plenty of pubs within a short walk of the route. Guaranteed to be extremely busy from Sunday morning, The Mall will give spectators the chance to celebrate with those who complete the 100-mile sportive as well as offering the best views of the final metres of the race, particularly since a bunch sprint is likely. The women’s race is based on last year’s 5.5km loop starting and finishing on The Mall. The route then goes up Constitution Hill, turning at the top to come down and on to Birdcage Walk. The route then takes in Big Ben before turning left on to Whitehall and right on to the Strand before turning again to come back up the Strand, through Trafalgar Square, Admiralty Arch and back on to The Mall. The race starts at 17:00, with the Brompton world championships folding bike race on the same circuit at 19:15. Approximate timings for when the race will pass through certain locations, British Summer Time. Intermediate sprint points and King of the Mountains (KOM) points noted.